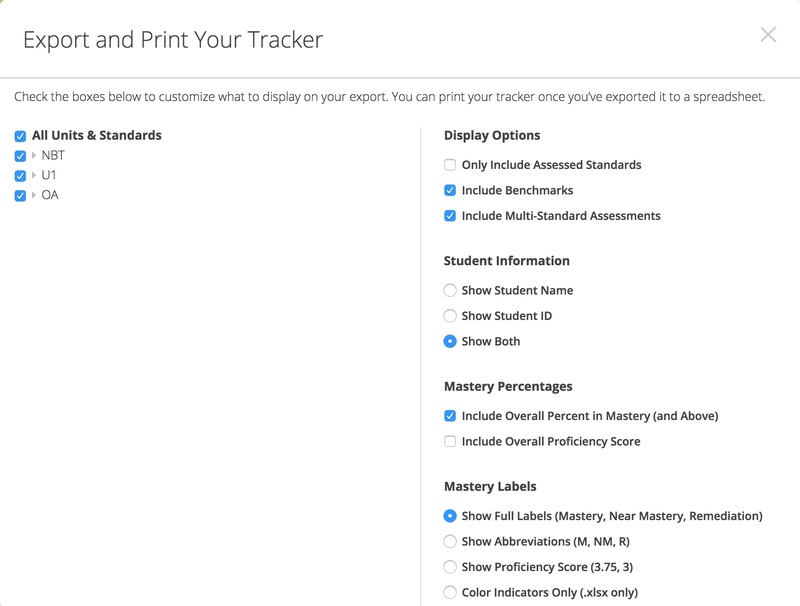 Click on Trackers, then select the tracker you want to print. Hover over the orange menu button and select Export and Print. 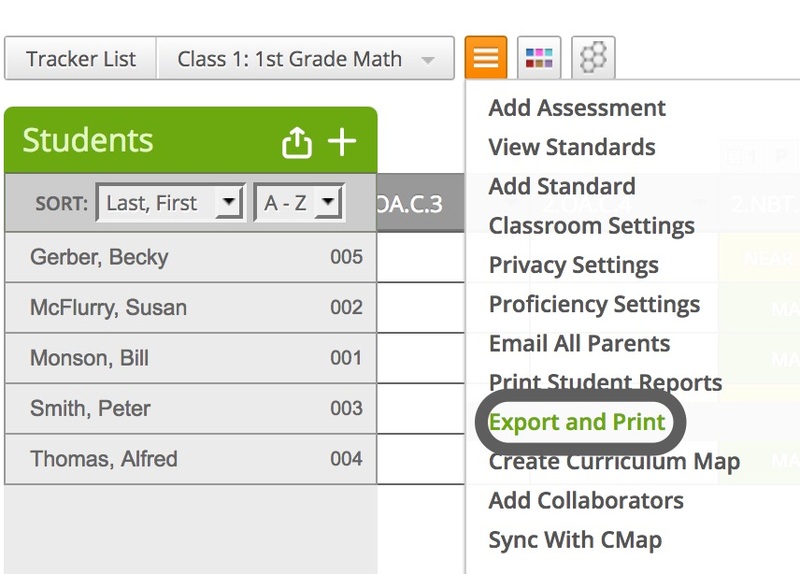 In the Export and Print Your Tracker dialog box, you can customize what information will get exported to the spreadsheet. In the left column, select which units and standards you would like to export. In the right column, select what information will be displayed on the spreadsheet. In the Export File Type drop-down list, select how you would like to export the tracker. Note: If you plan to print the spreadsheet after you export it, select .xlsx for best results. When you have finished setting up your options, click Export Spreadsheet. Your file will be saved to the location where your downloads are normally saved. If you are asked to open or save the file, click Save the File. Open the file to view your tracker and print.